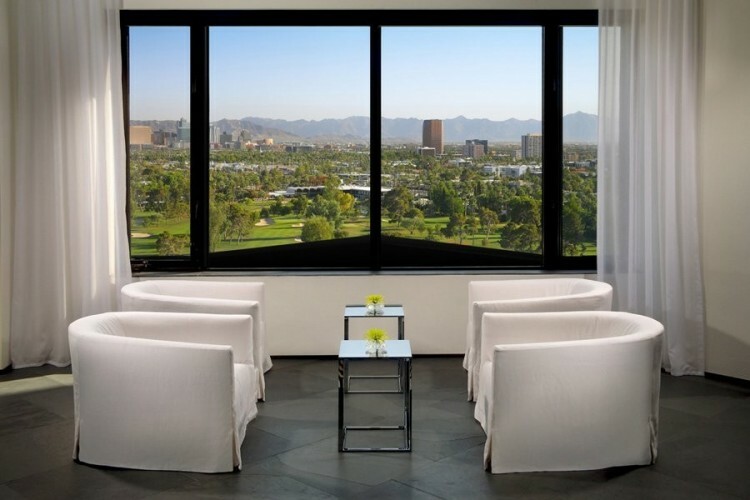 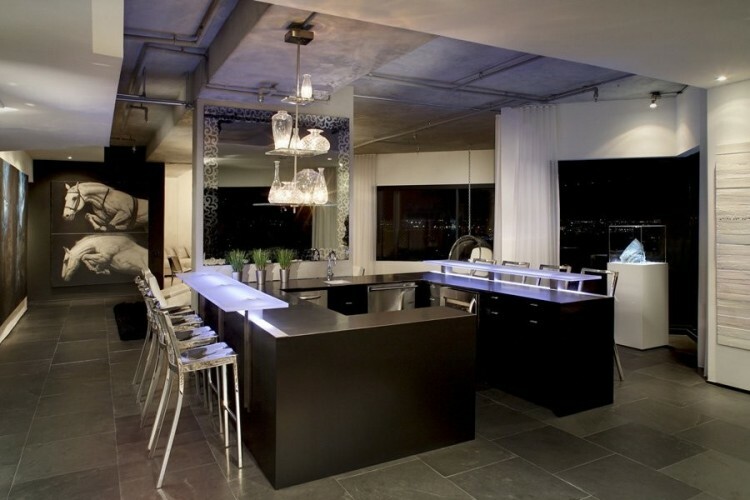 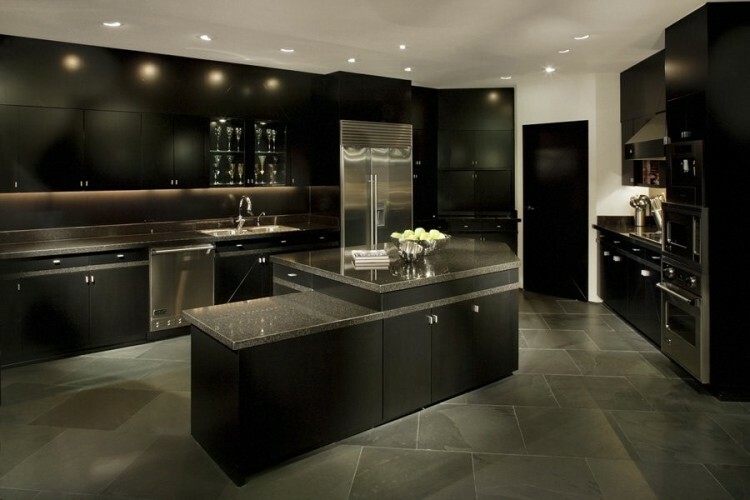 This 6,200 square foot two bedroom, three bathroom penthouse apartment is located in the Crystal Point Condominium Tower in Phoenix, Arizona. 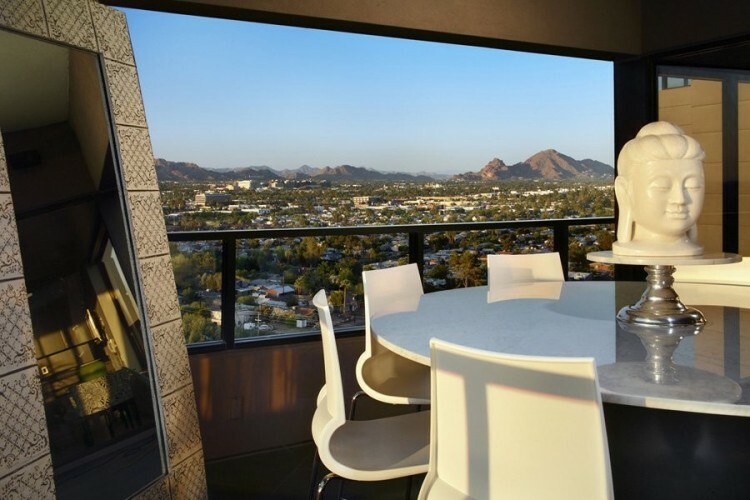 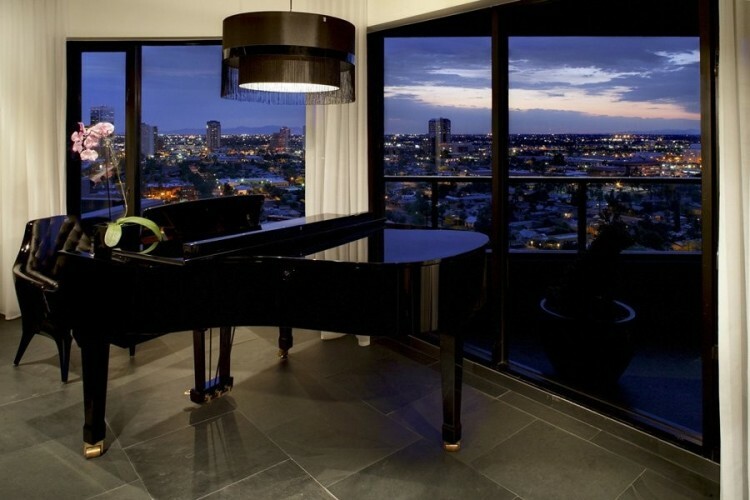 From the 16th Floor this penthouse apartment has 360 degree views of the entire valley. 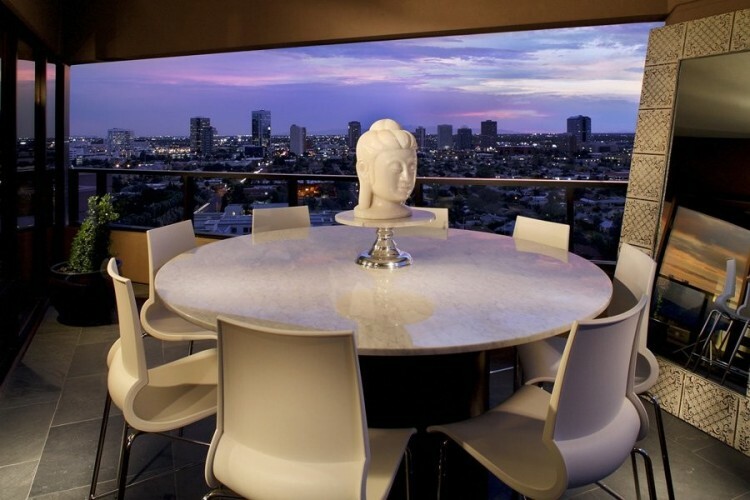 On sale for just under $2 million, the penthouse is filled with the worlds finest in contemporary furniture and an incredible art collection, also available for purchase.